The comfort is great and of course the high safety rating! I love my Volvo xc90. It has lots of room for 2 little ones and all of their endless gear! It is also very comfortable for long drives. The 7 passenger seating is very helpful as well! We recently went on a beach trip with 4 kids and 2 adults and still had room for all of the stuff we had to drag with us. My only complaint is it uses quite a bit of gas, but I imagine the newer models are more efficient in that manner. I cannot wait to someday have a new model. Mine currently has 135, 000 miles as of yesterday and is still going strong! If you were to get an xc90 you wouldn't be disappointed! The truth about the pretty Volvo. It is extremely expensive to fix, as it is a European car and has a lot of electrical problems. Currently we're having issues with the transmission because of the brakes. Every problem I've had has cost over a thousand dollars. The tires are also about 200 dollars each to replace. However it is comfortable and has all the bells and whistles. Heated seats, GPS, movie screens, AWD. Etc. My kids love this car because it is so comfortable. Safety locks, , air/side air bags, booster seat, third row seating, good trunk space. 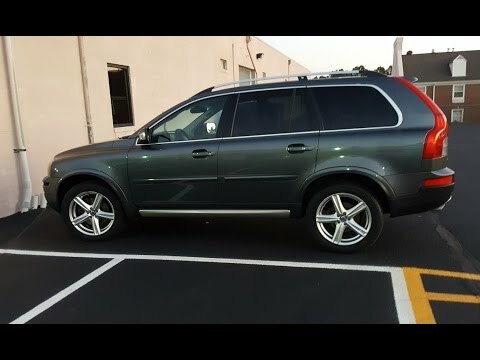 Owned Volvo xc90 for 10 years (up until last two year) it has run smoothly. However, the main issue is that parts and maintenance can be very expensive (ex. Oil change went from $50 to $100). The last two years I have had to deal with engine, windshield, charger, radio issues plus parts of car seating are falling apart.